This is Part One of what I think will have 12 programs. The first 2 programs show that God is the Creator of each star and knows them by name. I am laying a foundation that will prove that the heavenlies do not belong to the devil or astrology. Genesis 1:14 show us that this is God’s ideas for ‘signs and seasons’, to keep us in His timing and to alert us of prophetic timing. I hope you enjoy! 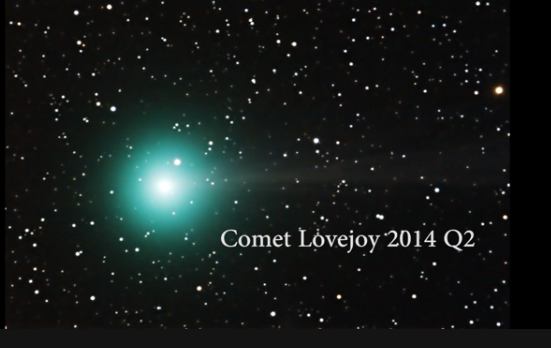 January 7-9 will be the best viewing for Comet Lovejoy C/2014 Q2, which some call the New Year Comet. This ‘frozen dirt ball’ will be approximately 44 million miles from the earth, but will be able to be seen with binoculars or even the naked eye. The comet is named after Amateur astronomer Terry Lovejoy, who discovered this object August 17, 2014, from Brisbane, Australia. 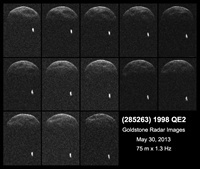 Comets are often seen as a bad omen, appearing years before a major war or natural disaster. A few examples are of a comet was sited before the Exodus, the first Passover and the destruction of the Temple in 70 AD. In Natural History, Pliny wrote that it was a “terrible comet…(that) was twisted like a coil, and it was very grim to behold.” Exodus 9:19 records “So there was hail, and fire mingled with the hail, so very heavy that there was none like it in all the land of Egypt since it became a nation.” The Jewish Talmud records ‘stones fell in Egypt and were very hot.’ Josephus wrote about a heavenly appearance resembling a sword in the sky before the destruction of the Temple. Keep looking up! Our redemption is drawing nigh! It is very interesting to have this heavenly appearance in this Shemitah Year.